The current price is 9462 Euro. 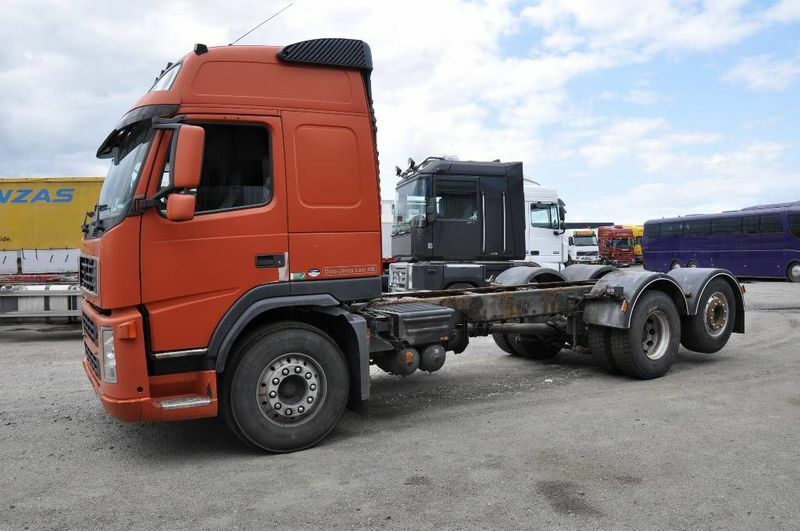 The detailed specification of VOLVO FM 12 cab chassis truck is provided below. The gross weight is 27000 kg. The details on engine output, gearbox and emission class are as follows: Euro 3, 460 hp, gearbox: automatic. Chassis configuration: suspension: air, 6x2, number of axles: 3, wheel base: 4600 mm, front tires: 385/65 R22.5, rear tires: 315/80 R22.5. The mileage is 753572 km. The vehicle is located in 62 Trelleborg, Sweden.